This Crock Pot Cherry Upside Down Cake is easy to make and perfect for your 4th of July Dessert table. 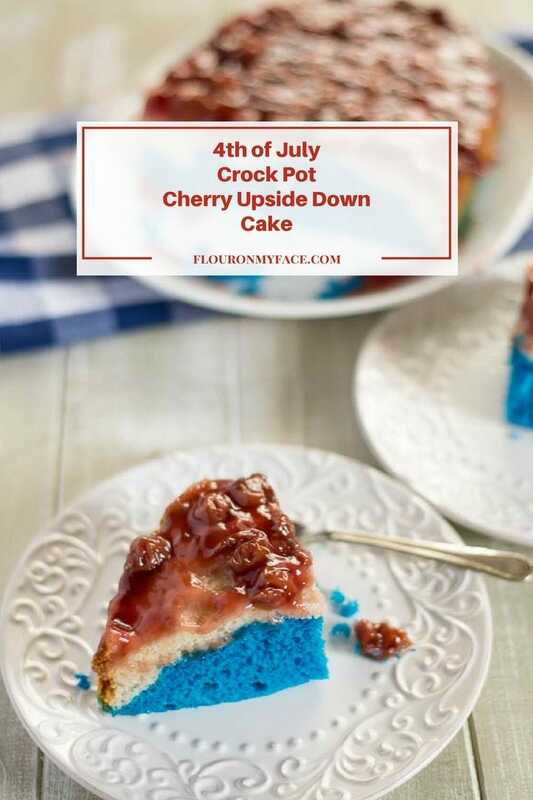 Since the 4th of July is in a few days I decided to make this very easy Crock Pot Cherry Upside Down Cake recipe patriotic by coloring the layers red, white and blue. Which was very easy to do when you use a can of cherry pie filling for the red layer. A box of white cake mix batter is divided in half to make the white and blue layers. 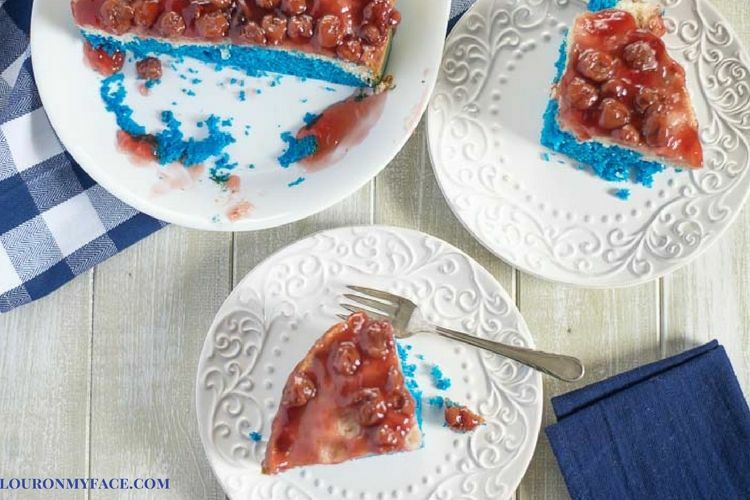 The best thing about this Crock Pot Cherry Upside Down Cake recipe is that you can skip coloring some of the cake batter blue and serve it any time of the year. I am really amazed at how moist the cake turns out when it is baked in the slow cooker. 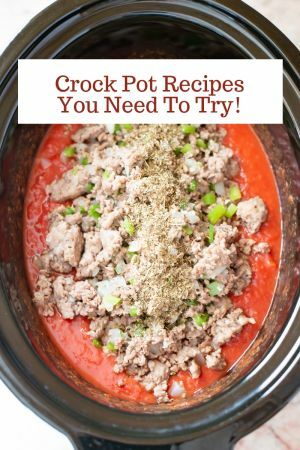 I love easy crock pot dessert recipes like this and the Crock Pot dump cake recipes I have made in my crock pot. 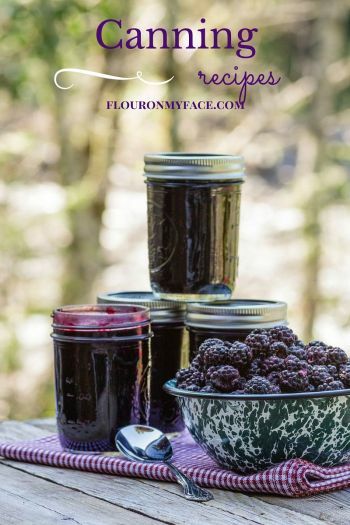 My Crock Pot Blueberry Lemon Cake is another crock pot cake recipe that would be perfect for the 4th of July. If you want to stick with cherries for your 4th of July dessert recipe this Crock Pot Cherry Cobbler recipe is divine served with a scoop of vanilla ice cream. A few weeks ago I share this Crock Pot Pineapple Upside Down Cake recipe and decided that it would be very easy to make any fruit flavored upside down cake simply by changing up the fruit topping used. Using canned pie filling makes that very easy to do. Canned pie filling is available in many fruit flavors. I can’t wait to try other flavors of upside down cakes made in the crock pot. Line a 6 quart crock pot with parchment paper. Spread the pie filling on the bottom of the parchment lined crock pot bottom. Mix the cake mix following packaging directions. Spread 1 3/4 of the cake batter over the cherry pie filling. Add a few drops of blue food coloring to the remaining cake batter in the bowl beating it in well. Spread the blue colored cake batter over the uncolored cake batter layer in the crock pot. Stretch a double layer of paper towels over the top of the crock pot. Place the lid on and cook for 2 hours on high. Uncover the crock pot and remove the damp paper towels. Carely lift the cake by the corners of the parchment paper and place on a oval shaped serving platter. Place a similar shaped platter on top of the cake. Grasp and sandwich the cake between the platters and quickly flip. Allow cake to cool before serving with ice cream or whipped cream. Makes at least 8 servings or more depending on how large you slice the cake. 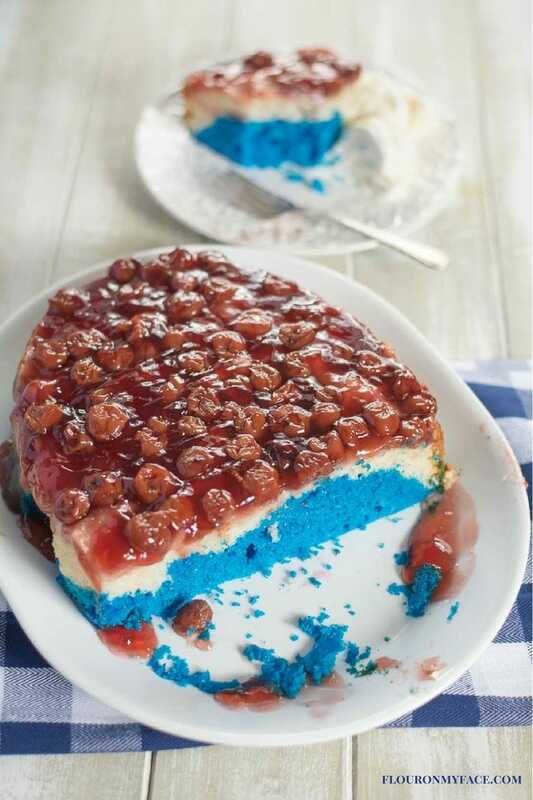 Make this red, white and blue Crock Pot Cherry Upside Down Cake recipe for the 4th of July. 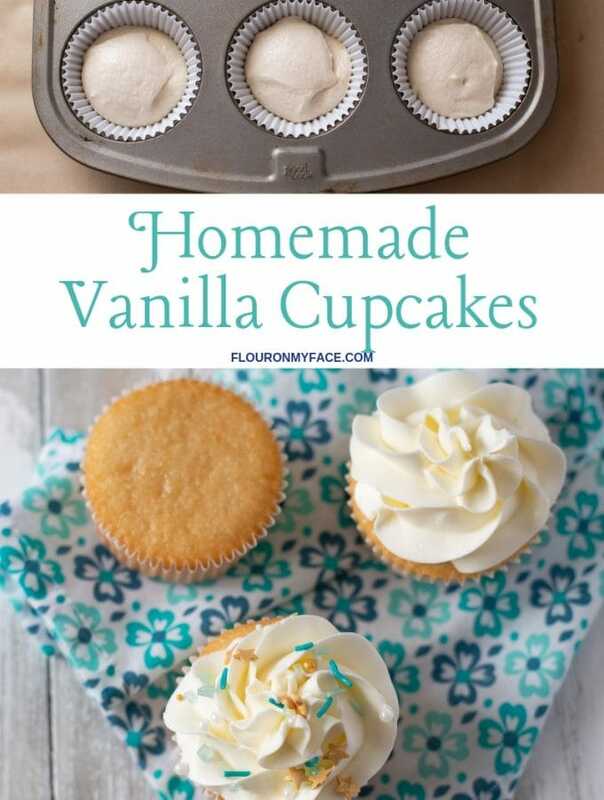 Or leave the cake mix white and enjoy it any time of the year. Using a different size slow cooker will not yield the same results. 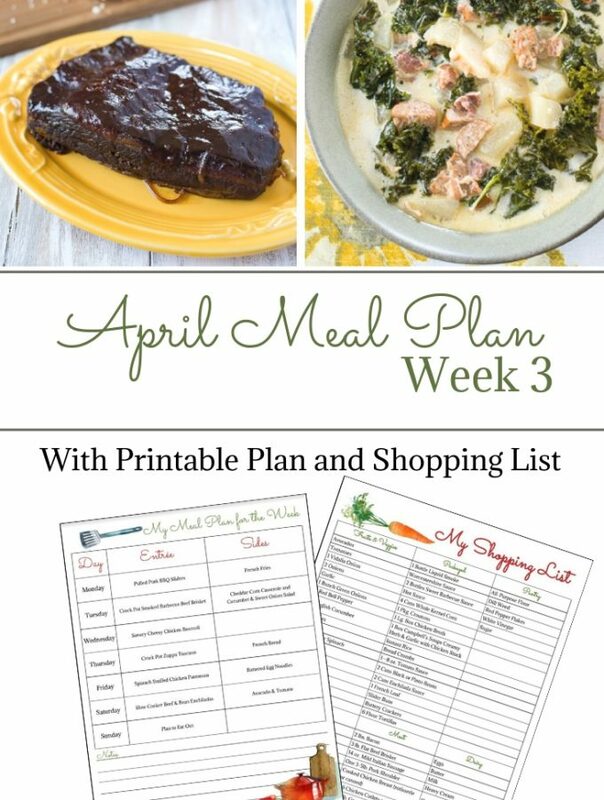 A 6 quart slow cooker was used for this recipe and the cooking time is for that specific size slow cooker. 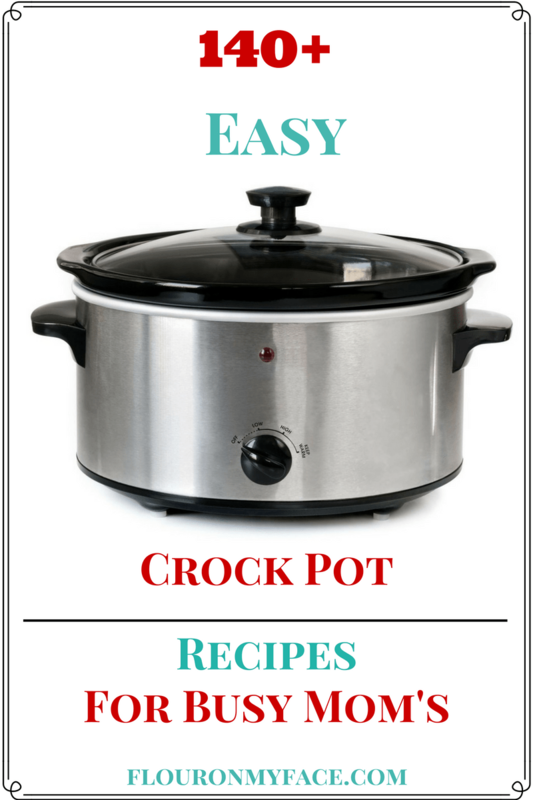 A large slow cooker will cook in a shorter amount of time. 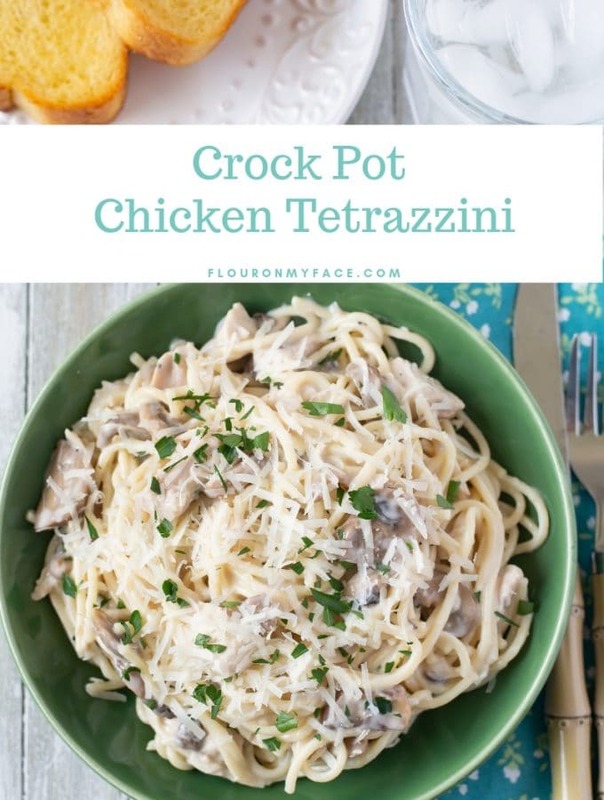 I would not suggest using a smaller size slow cooker with this recipe as it might not cook completely in the center while the outside edges may over cook. 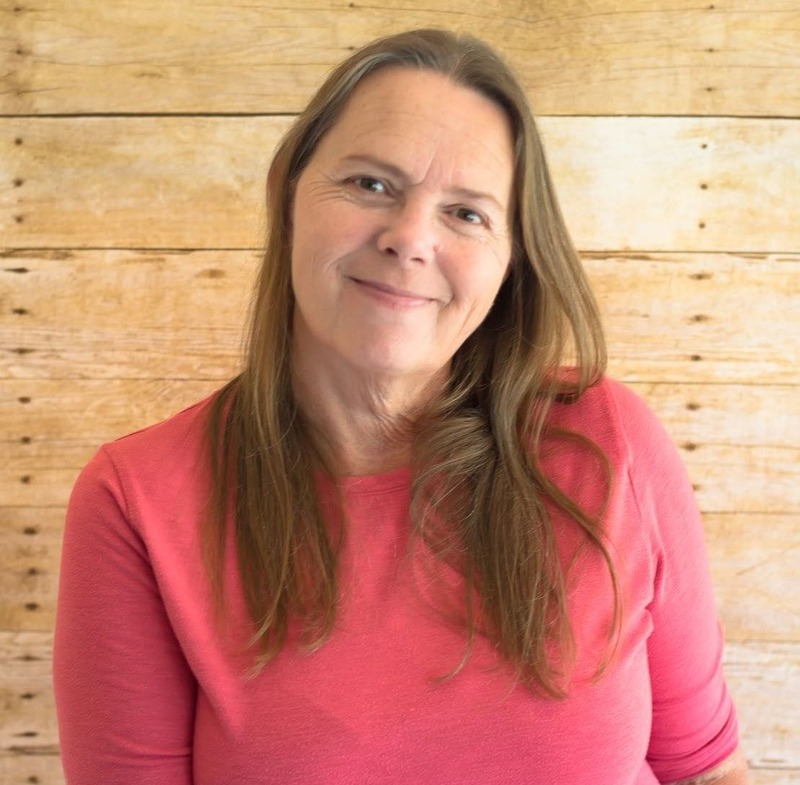 You can find more Flour On My Face crock pot recipes on my Crock Pot Recipe page.